Curia Vitkov is run by an association of about 20 volunteers. The area of 2 hectares exists of a crafts village with 3 houses and 4 other constructions (e.g. forgery, shed with baking oven). Besides that, there is the Curia which exists of a nobleman’s house, 2 tower gates and palisade and 4 houses in various stages of construction. The buildings represent typical buildings of this period according to the type of settlement. They are not based on single excavations. The period depicted is the Early medieval age, period 1150 – 1250 AD, showing a Central European, non-central area of a country. Members of the association are usually on site in the weekends from Spring to Autumn and most of July. During these days, guided tours are provided. Twice a year there is a historic weekend with demonstrations of ancient crafts and warfare. Activities comprise of living history, construction of the settlement, but as well experiments in forging and casting metal. Special attention goes to clothing and its usage in various weather conditions. The gradual construction of the settlement is done by the association members and other people who at the same time make the site alive by various activities. The site also is a networking and meeting place for people interested in historical activities. 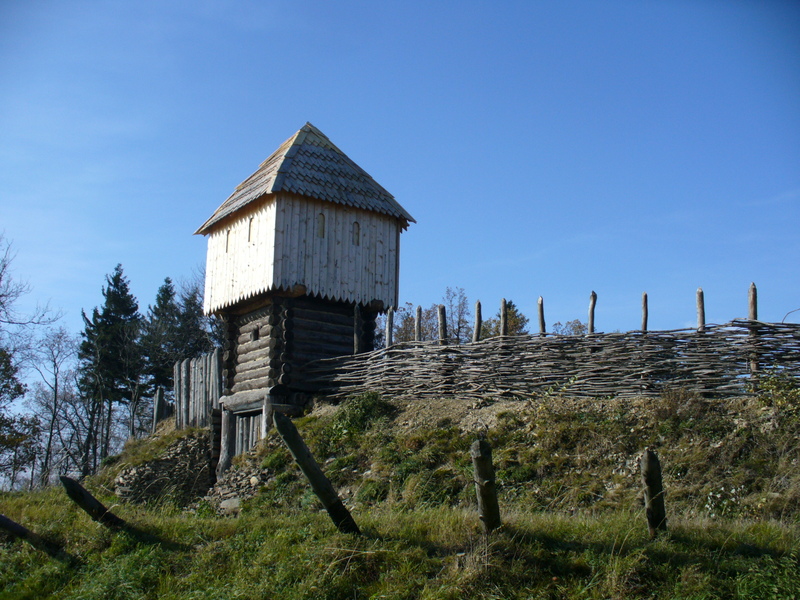 When they started in 1999, re-enactment in the Czech Republic was very popular, but the quality and historicity was on low level, And no organised groups were focused on the early middle ages. After 10 years, other groups emerged everywhere in the country. The quality and accuracy of period equipment is admired by re-enactors from other periods. Founder of the association and leader of the Curia Vítkov project since 1999. Contact person for English communication.